Getting into a pedestrian accident, whether you are the pedestrian or the driver, is terrifying. Yet, pedestrian accidents are common and can result in serious injuries and fatalities even if the vehicle is traveling at only 10 miles per hour. If you have been involved in a pedestrian accident, it is important to take certain steps to ensure the safety of anyone involved, and to prepare yourself for dealing with insurance companies. Safety comes first. After the initial accident, make sure that whomever was involved is safe and free from injury. If any parties have been injured, contact emergency services immediately. You should also contact the police when involved in a pedestrian accident, even if you feel like you are at fault and may face criminal charges. At the scene, be sure to speak with witnesses about what they saw, especially if you feel like you aren’t at fault for the accident. Witness accounts can help verify events and can be crucial if the pedestrian was being careless and caused the accident. Make sure you exchange information with everyone at the scene so that police and insurance companies can contact them at a later time to help support your version of events. At Martin and Lerda, we recommend you contact an attorney before you speak with any insurance companies. 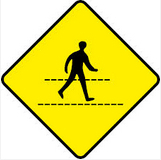 Accidents involving a pedestrian can get out of hand quickly for someone to handle alone. Having an experienced pedestrian accident attorney can make all the difference in your settlement outcome. Insurance companies are in the business of finding you at fault; an experienced attorney can help you best protect your rights. You should also make sure that you don’t say anything to the police, witnesses, or any other parties about “being at fault” before you’ve had a chance to speak with a lawyer. If you have any questions or need more information about how an attorney can help you in your pedestrian accident case, please email our office today or contact us directly at (412) 271-6800.